Orion Electrotech has been supporting clients in the gas sector throughout the UK and has consistently been the UK’s market leader now for thirteen years since the inception of Corgi. 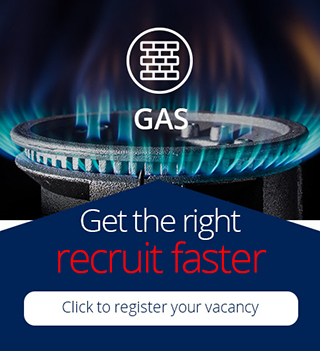 We provide both contract and permanent recruitment services specifically within the Gas sector and every discipline within it. Whether you require Gas Service Engineers, Gas Installers, gas Breakdown Engineers, Gas Inspectors, Gas Commercial Engineers or Management personnel, Orion has the capacity to meet your needs. Unlike most recruitment businesses, we not only determine the compliance of all our engineers in respect of Gas Safe Registration and Certification, but we also CRB check all gas engineers on your behalf and track their compliance in terms of registration and certification proactively. This allows us to flag up to you well in advance any issues regarding Gas Safe registration expiry and/or ACS elements expiry dates. This allows you and the gas engineer ample time and opportunity to renew without damaging your capabilities to meet the needs of your customer base. Of course, all the usual references and pre-screening occurs, but to us, this taken as read rather than a selling point for most agents. The making available of resource is merely the bare minimum that Orion offer. What we offer goes well beyond this, not only to provide the best resource available but in a fashion that has been specifically designed with you in mind and a proactive protection to ensure that engineering resource is compliant on your behalf free of charge, allowing you to focus on growing your business further.